Opinion: If You Can’t Say “Black Lives Matter” Then You Can’t Use Any Quotes from Dr. Martin Luther King, Jr. This is a quote from the last speech given by Dr. Martin Luther King delivered April 3, 1968, at the Mason Temple in Memphis, TN. I’ve listened to this speech numerous times as I’ve tried to convey the darkness of this speech to high school students I teach and each time it gives me chills. Maybe I know less than 24 hours later, Dr. King was murdered outside his room at the Lorraine Hotel in downtown Memphis or maybe because even though fifty years have passed many things around race have stayed the same. As I think about his life and untimely death, there’s nothing more apparent to me that to Dr. King was a drum major for justice and in a time where Jim Crow was low, he was brave enough not only to say, Black Lives Matter but to actually be involved in direct action to make sure people in power knew this also. During his time Dr. King was beaten, stabbed, shot and ultimately killed because he dared to go against the status quo and live a life that mirrored his beliefs. In the 50 years since his murder, the world has evolved and while there’s been much work done, the reality that is in 2019 there is still a battle against injustice being waged that teachers have the front row seats to 180 days a school year. The battle is no longer against law enforcement who turned dogs onto peaceful protestors or who normal citizens who upheld openly racist policies, instead it’s a war where teachers are fighting against implicit bias, outdated teaching practices, and curriculum that does not reflect the diverse students we serve on a daily basis. This war is not just happening in the streets when people decide to protest but for teachers, we’re fighting this battle every day in our classrooms, in the principal’s office, at Central Office and online in our teaching communities. But how can we as educators embrace Dr. King and his stance on social justice by posting memes, creating products, posting quotes, and pictures from the Civil Rights movement but still cringe whenever today someone demands that schools recognize that Black Lives Matter? This very basic premise is enough to get you thrown out of Facebook groups or chided by not jumping on the “kindness will solve all things” bandwagon, but it’s important for educators to remember that not only did black lives matter to Dr. King in rhetoric but was apparent in his daily battles of working against an unjust system. was arrested 29 times in his fight for equality and against capitalism. His arrests included charges of loitering, perjury, traffic violations all with jail sentences stemming from overnight in jail to sentenced to months in work camps. narrowly escaped an assassination attempt a decade before his death. as a 17-year-old he wrote a letter to the Atlanta Journal-Constitution decrying the lynching of four African- Americans in Georgia. was the leader of Montgomery Improvement Association to boycott the transit system. organized an initial march from Selma to the state capitol building in Montgomery. The marchers were turned back by state troopers with nightsticks and tear gas. And despite the ridicule, the lies, the threats on his life, the naysayers and backstabbers, Dr. King managed to uphold through direct action that black lives matter. Today in education you will see teachers who post quotes from Dr. King’s life and reduce his work to just being about kindness, but the reality that to teach about anything concerning the Civil Rights Movement or Dr. Martin Luther King, Jr. I need for teachers to become comfortable with one of the most basic principles around social justice- black lives matter- both inside and outside of your classroom. You see it’s not enough to discuss Dr. King’s legacy and feel good because you did a cute craft project or that you found a quote you like. Our duty as educators calls for us to embrace the hard truths and fight so that our students understand the complexity of racism, the ‘back-breaking work’ of equity for all and most importantly realize that supporting movements based in equity are important as we work on being anti-racist educators. This work is important so that in the next fifty years, Dr. King’s work isn’t sanitized to the point that the conversation isn’t even about racism anymore. The reality is that at the time of Dr. King’s death, seventy-five percent of Americans disapproved of his work. 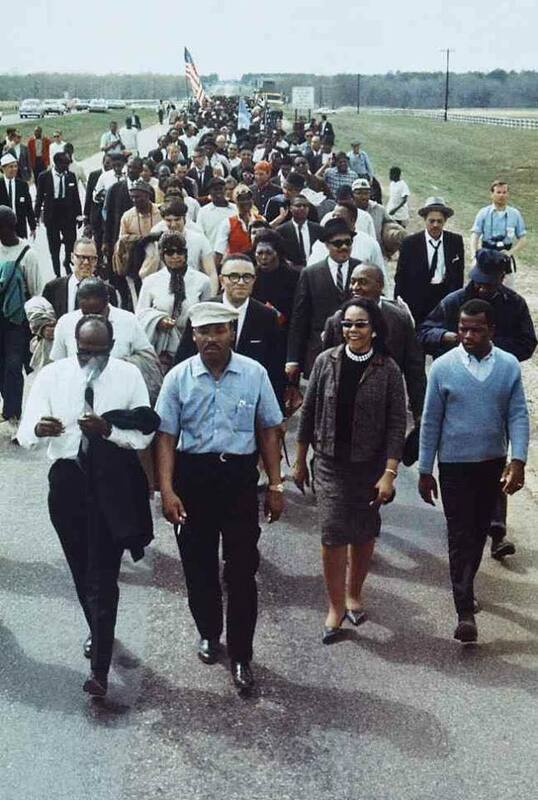 So as we engage in a day of service, march in your local King commemorative marches, or work in schools across America, remember that Dr. King gave his life for teachers not to talk about what he would have wanted, but to do what he actually did. As educators, it’s up to us to not only acknowledge racism but to act on the injustices that plague this world and as a start, it’s critical that we start with saying black lives actually matter.